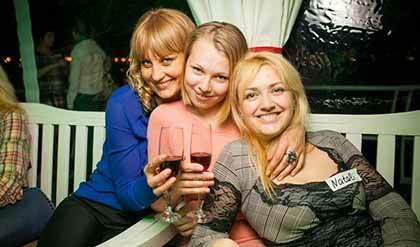 Tour clients meet hundreds of foreign women in our social events. With hundreds of beautiful foreign women seeking marriage to American men, and other westernized countries, your opportunity in finding love starts here with us. In Foreign Affair, you can browse through profiles and have the option in communicating with them through various ways and meeting them in person. Other than these hassle-free options, you can also have the opportunity in both traveling around the world and meeting the woman of your dreams! From Russia all the way to the Philippines, Foreign Affair has beautiful and stunning women registered and pre-screened for you to browse through and meet! 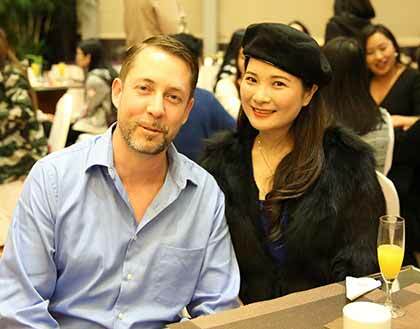 Foreign women from different parts of the world are seeking serious relationships and marriage. Meet and date our genuine women and prepare to be captivated at the sight of your true love. These foreign women are waiting to be loved and are ready for long-term romance. Their minds are set in loving a man like you forever, and are surely capable for whatever comes your way in terms of marriage and love. Find your happy ending here along with the woman who’s just waiting to love you! 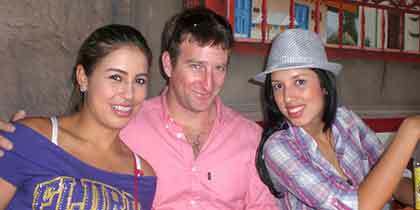 Clients meet their foreign women through our romance tours. Foreign Affair was founded in 1995 and has been one of the first companies to provide online dating services. For over two decades in the industry, the company has quickly become one of the largest and most respected online International Singles agency to date. Foreign Affair holds offices around the world reaching from continent to continent including Russia, Ukraine, Colombia, Costa Rica, the Philippines and more. Get the chance to meet European women, Asian women and Latin American women who are all eager to date you. Integrity and trust are the foundations on which Foreign Affair has built its reputation from. With these two important factors, the company has then successfully landed in the top position within the industry. From our hardworking staff to our excellent matchmaking services, our goal is to ensure every client’s life is changed forever. With our mission to serve excellent dating and matchmaking services to both men and women, we strive to provide singles across the globe opportunities in finding true love. Browse through over 40,000 profiles of eligible and genuine foreign women seeking marriage and cross the bridge to a different horizon in romance. There are hundreds of foreign women seeking marriage. With notable reputation and years of experience, Foreign Affair offers single men a chance in finding true love with foreign women anywhere across the globe. Not only do we hold hundreds of beautiful women in Foreign Affair, we also we ensure that they are individually verified and interview. With our top-of- the-line system, we provide ideal matchmaking services and romance tours. Our romance tours and online services have since been regarded as one of the best available today. For over two decades, our our matchmaking system, online full-service international introductions and our expert customer service have earned us undisputed reputation and recognition. We not only provide singles the opportunity to search for their ideal partners but also give them the chance to meet and interact with our Foreign Affair groups. With our guaranteed affordable and secure services. With us, your hopes in finding true love will turn into a reality!